Harpeth Rising chose to name themselves after a river because water is both dynamic and powerful. These words also describe the music created by three women - Jordana Greenberg (violin, vocals), Michelle Younger (banjo, vocals) and Maria Di Meglio (cello, vocals). Unapologetic genre-benders, they fuse Folk, Newgrass, Rock and Classical into a sound that is organically unique. 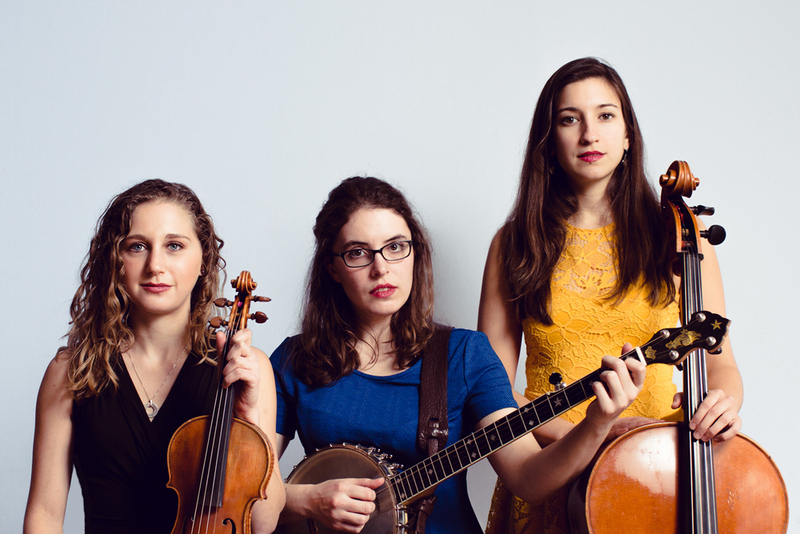 They have released four albums in as many years - Harpeth Rising (2010), Dead Man's Hand (2011), The End Of The World (2012), with master wordsmith David Greenberg (Jordana's father), and Tales From Jackson Bridge (2013). Their fifth album released in early 2015. Adult tickets are $15 ($18 at the door), $10 for students and 12 and under are free . When you have made your selections, proceed to checkout on the top right of the page. Tickets will be available for pickup at the door.